Your first ‘Template’. Click here to get started. Thanks for checking out Process Street. You're awesome! 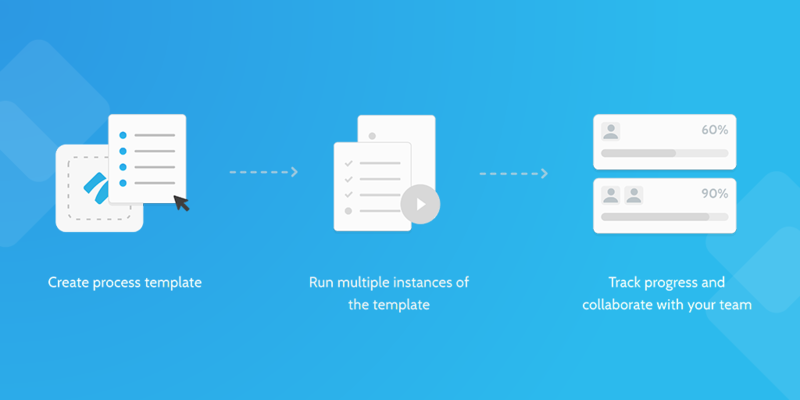 Process Street is the simplest way to make recurring checklists and processes. You are currently reading a "template". You can make templates just like this for your own team. Templates are like process documents but can contain rich content such as images and videos (see below). 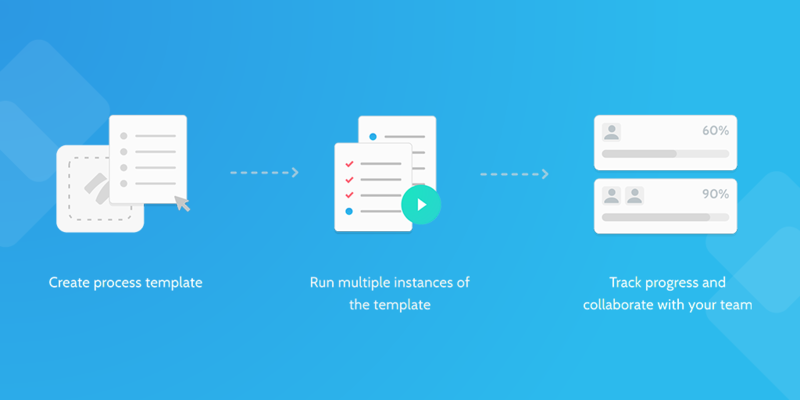 Once you've made a template, you can run multiple instances of the template as checklists, assign them to your team, attach files, comment and so much more! We have already gone ahead and made a template for you (yep, this thing you are reading right now with the list of tasks on the left and the content over here is what we call a "template") so you can go ahead and run it right now! Hit "Run checklist" on the menu on the right ⇒ to see how it works. Once you have run a checklist, you can complete it with your team. Check off tasks, add comments and attach files. Click the "Add members" button from the right menu then type in the email of anyone you wish to add to that checklist. Use the "Add members" option from the dashboard to add members to your team. Before you can add members to a checklist, you need to run it! Hit "Run this checklist" on the menu on the right -> to see how it works. Each time you run a checklist from a template, we will create a blue card on the dashboard and an entry in the template overview. Each card represents an "in-progress checklist" that you ran from the template. You can track the status of the checklists, who is assigned to them when they are due and more. You can run an unlimited number of checklists from a template. You can add forms to your templates to collect data as your team (or customers) work through your process. This is handy to pass your data between apps instantly. 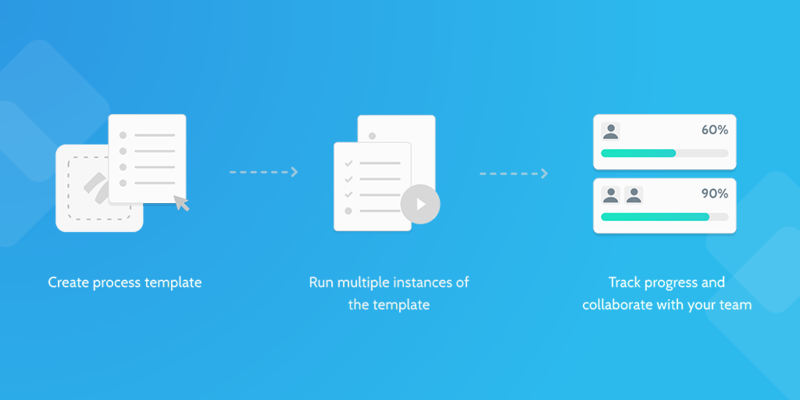 In this video, we take a behind the scenes look at how we configured Zapier to make the integration between Close.io and HelloSign in the videos above. If you are interested in how it actually all works, check out the below. Once you've got the hang of how to run checklists, you can make your own template about anything you want. If you're looking for inspiration, check out our library of pre-made templates. 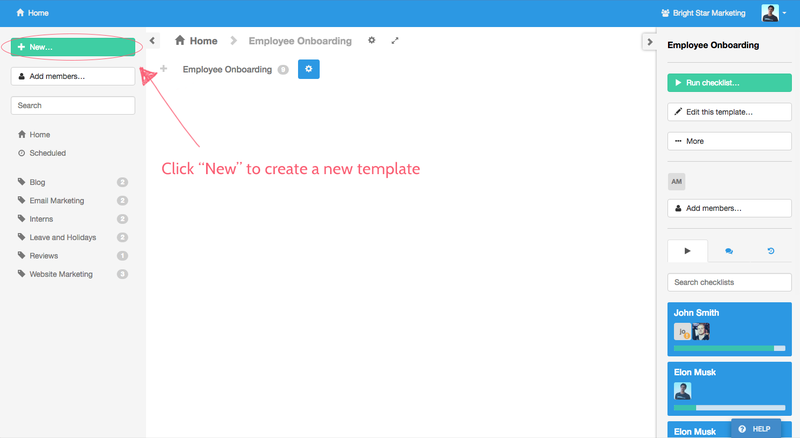 To get started creating your own templates, hit the green "+ New Template" button on the dashboard. 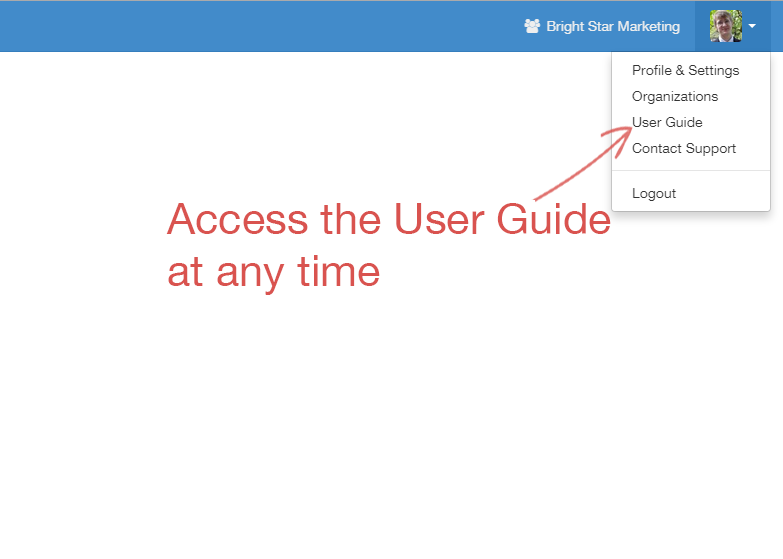 Click on your thumbnail in the top right and select "User Guide" to learn more about Process Street's advanced features.